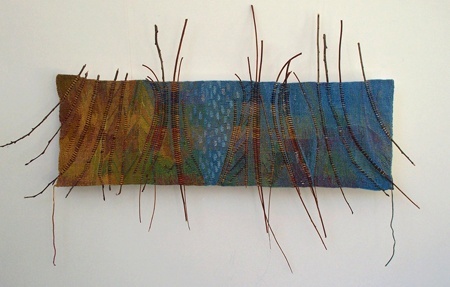 SKY CHOREOGRAPHY is a further exploration of the colour palette developed during OCTOBER CLOTHSCAPE. No longer thinking about the specific place and weather conditions I wanted to make something gestural. 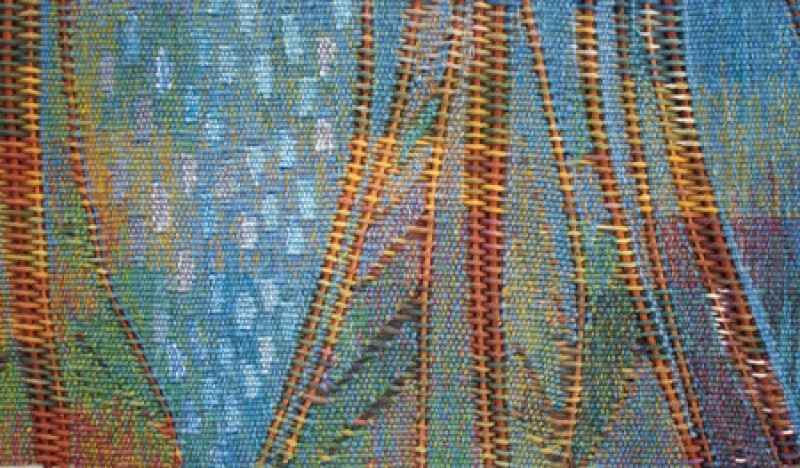 I'd been enjoying the physical sen sations wakened in me by a return after many years to creative contemporary dance classes. 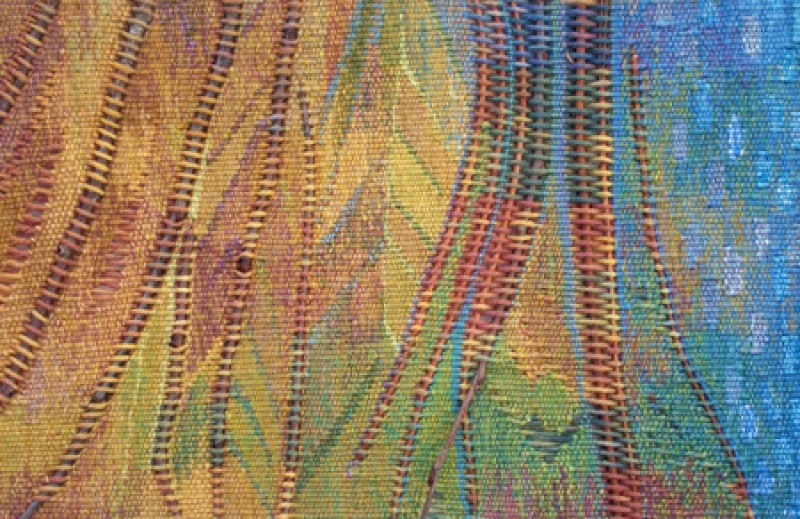 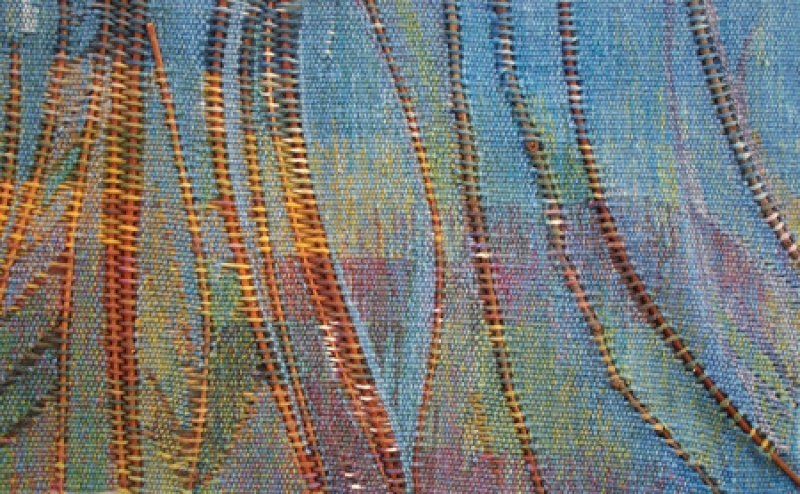 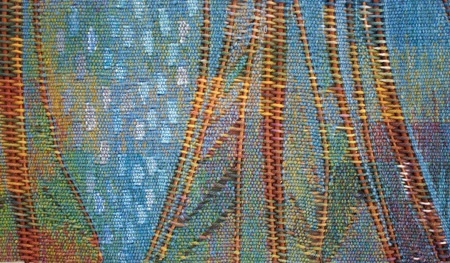 In this piece the composition is developed during the weaving both directly from colours and shapes in the tie-dyed warps and the shapes of the twigs as they danced up the warp.